Protect your birds at night. 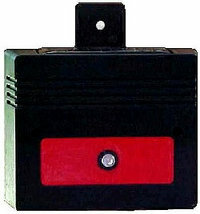 NITE GUARD is a solar powered (no batteries needed ever) flashing, red light that, when positioned correctly, will repel night animals that could harm your livestock or your gardens. Scientific studies done in Europe have proven that all night animals share the same deeply rooted fear of being watched and therefore threatened. Remember being told to never look a cornered animal in the eyes as it represents a challenge? The specially engineered red flash of Nite Guard implies the eye of another organism and presents that very threat. These studies have also shown the color red to be a universal alarm color for all animals and humans. Stop signs are red in color for that reason. Protects against owls, coyotes, opossum, raccoons, fox, bobcats, muskrats, bear, cougar, wild boar, mink, weasels and many more nocturnal predators. An animal located 1/4 mile away from Nite Guard Solor willl have a line of vision that covers 200 feet accross. is the Nite Guard effective against deer also? It works well for almost any nocturnal predators. They work best with 4 units. where do you position the nite guard? facing the pen or facing the yard? It should be facing away from your coop to repel any night preditors from coming near the area. How effective aginst coyotes . I live in a urban area with large packs that last year devoured all my turkeys five 30 plus pounds birds . I need something that will deter them. The nite guard works well for most nocturnal preditors. They feel threatened by the blinking red light. I would recommend Nite Guard which is a solar powered flashing light that will help ward off predators. Please check online mcmurrayhatchery.com or in our catalog for information regarding this product. Works really well! Nite GuardMy chickens are protected by the nite guards, great product. Love our Nite Guards!We've had our chickens for almost 2 years now and installed these around our pen. We have yet to see any signs of 4 legged predators trying to enter the coops. LOVE & Highly recommend this product!